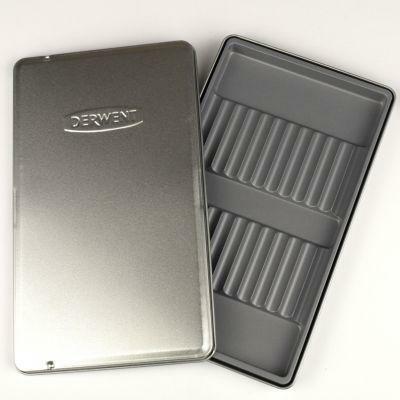 This Empty Pencil tin from Derwent is great for hold your pencils. The box contains a plastic inlay which holds the pencils in position, so they do not move around when the lid is closed. This helps to protect your pencils. 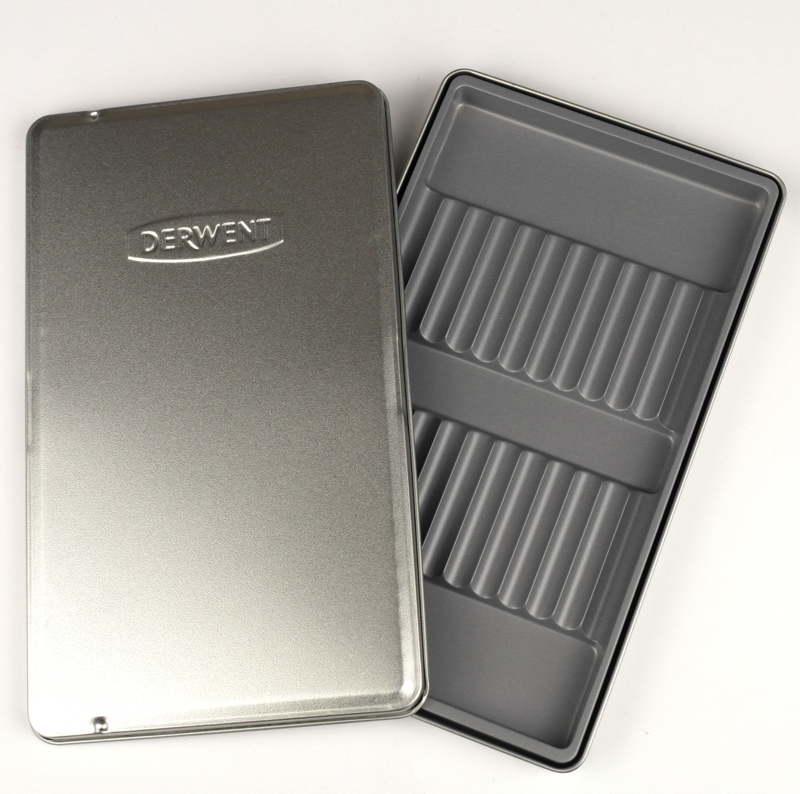 This tin box can be purchased here, or you can get it for free if you order 12 of any of the derwent single graphite or coloured pencils. I am very happy with this purchase. So handy for when out-and-about. I carry a small selection of watercolour pencils and a cut-down watercolour brush. 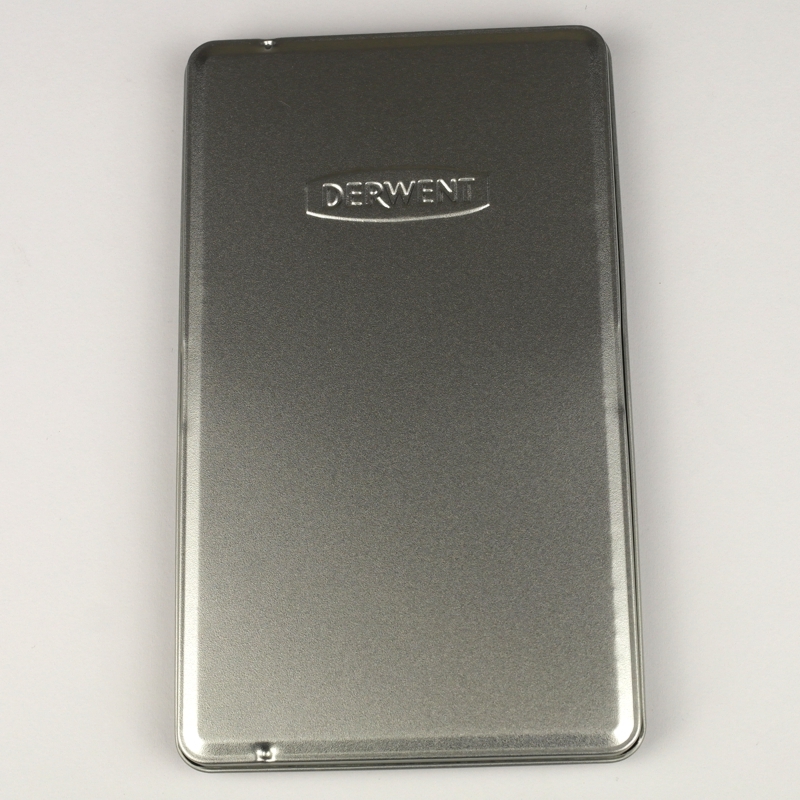 The tin keeps everything perfectly in place and undamaged.